Almost as soon as I saw those lines appear on the pregnancy test my mind started to think about all the different things that I would need to research, purchase and utilise. Having a baby is an exciting time, however, it can at times be a little overwhelming, especially when you take a glimpse at all the baby accessories, equipment, and essentials that are available to purchase. Smyths The Baby Room offers parents-to-be, parents and grandparents the help and advice they need to navigate them through the world of baby accessories. With a wealth of knowledge available in store, online via their Facebook page and in a helpful new The Baby Room catalogue. Bursting with over 84 pages of the top baby products and brands, the new baby catalogue features everything you need for baby, from car seats, strollers, entertainers and high chairs to bathing and bedtime essentials, as well as all your favourite playtime toys and gifts. Included inside: the latest ranges on car seats, travel systems, strollers and everyday baby essentials. Plus new and improved ranges from brands such as Joie, Graco, Cosatto, BeSafe, Mini Uno, and Babylo. We are currently planning the transition to toddler bed for Piglet. Although I think we are still a few months away from taking the side off her cot, I want to be prepared as possible. I popped into my local Smyths store in Norwich and chatted with one of the Baby Room staff members. They kindly suggested a couple of products that might make the transition as smooth as possible. Although I have completed the process twice before, it’s amazing just how much you forget between children. 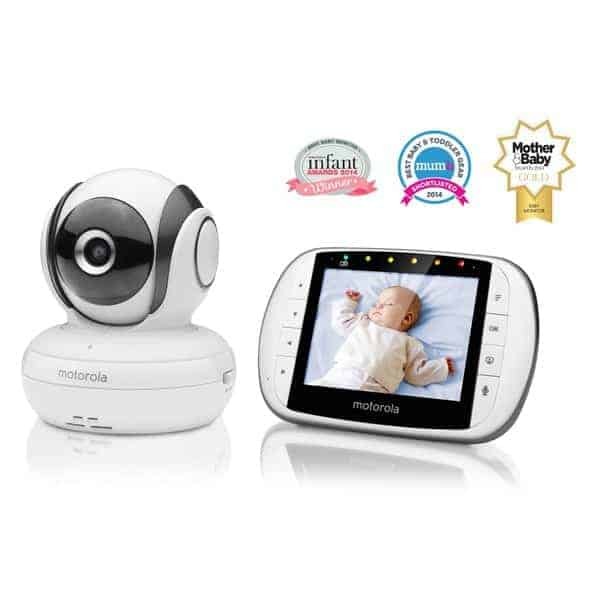 Video Monitor – With each of the children we have always used a traditional baby monitor and never really thought about using a video monitor. However, whilst these can be useful during the early weeks and months, during the transition to a toddler bed the video monitor really comes into its own. Giving you the ability to check that your toddler is still in bed and should you hear a noise you can check what they are up to without going having to physically go into the room to double-check on them. Bed rail – After having the safety of the sides of the crib and cot since they were born, getting used to an open side can take some getting used to. Especially for those babies and toddlers who complete bedtime gymnastics whilst they sleep. One way to assist them in staying in bed and keeping them from bumps to floor etc is adding a bed rail to the open side of the toddler bed. An adjustable one will see them through the year months of going from cot to toddler bed. 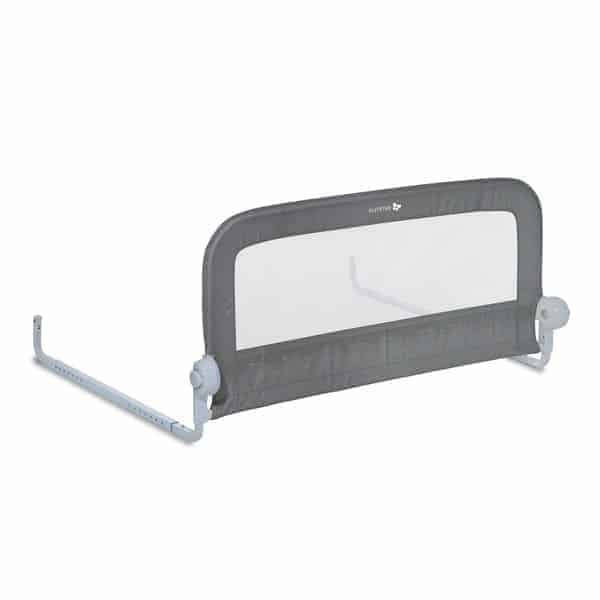 As well as being useful for when the transition to a larger single bed or staying at relatives etc. 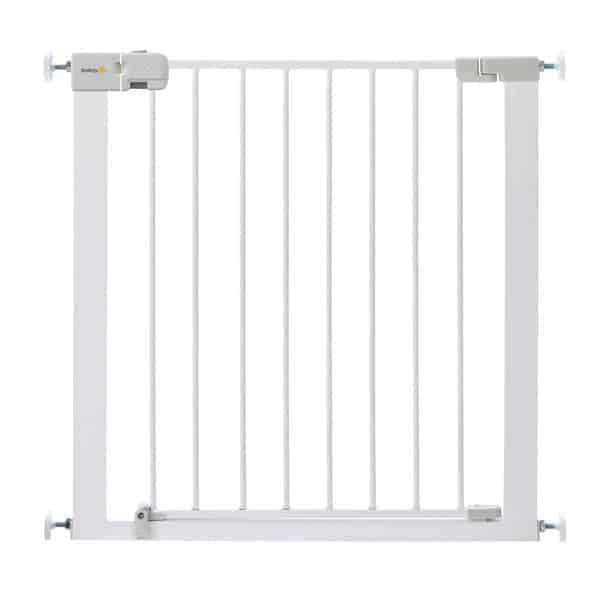 Safety gate – Whilst you possibly already have these located around the home and stairs, adding an additional one on the bedroom door might be something to consider. It can take just moments for a toddler to get out of bed and open their bedroom door so delaying them with a safety gate on the door will give you the time you need to attend to them rather than finding them in the kitchen helping themselves to snacks or destroying your living room. The new Smyths The Baby Room catalogue featuring everything you need for the little life changers is available at your local Smyths store. I couldn’t do without our gates at the moment having a 21 month old and a 4 year old! Oh this is great that Smyths are now doing baby products. Safety gates are an absolute ESSENTIAL! We’ve started to baby prof the house now our little on is on the move and stair gates are so important for protecting them. It sounds like smiths have it all covered for first time parents! We have baby gates in house and they are essential. Always recommend them! I feel like I need a baby gate and monitor for my cats never mind an actual child!